I’m Home and I Brought You Something! I am home from my great trip away. Now it is time to make up for the time lost around here. Because there is so much to do, I am just going to share a video with you today. I say “just” but this video could improve the quality of your life, like it did for me. I’m behind the curve on music so this music is not new, only new to me. 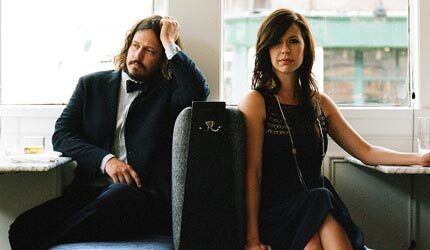 I hope you enjoy Joy Williams and John Paul White, better known as The Civil Wars. This entry was posted in just for fun and tagged great music, new music, the civil wars, what's new in music by lookmom. Bookmark the permalink.